Oakton Community College (OCC) is one of the most frequently searched colleges in America, according to a recent internet keyword search of United States colleges. Oakton, established in 1969, is a public two year community college with campuses in the state of Illinois. The school currently maintains more than 45,000 credit and non credit undergraduate students. Oakton has an open admissions policy. Oakton College is accredited by the Higher Learning Commission and the North Central Association. Here are the answers to some of the most frequently asked questions about Oakton Community College. 1. Where is Oakton Community College? 2. What types of degrees are offered at Oakton Community College? 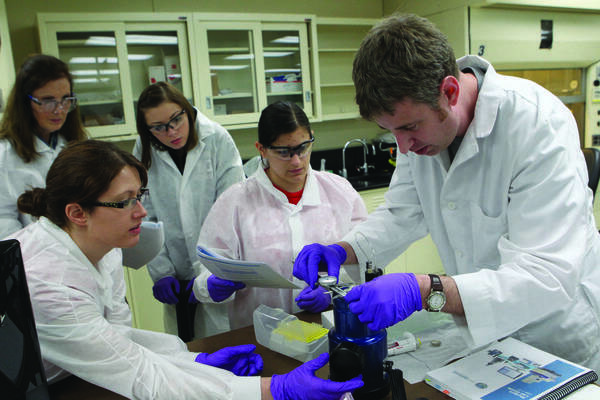 OCC offers Associate degrees and certificates in more than 75 fields of study. 3. What courses and programs are offered at Oakton Community College? 4. Who should attend Oakton Community College? Oakton College is an smart, cost effective choice for anyone of any age who wishes to study any of the above subjects, especially those who live in the district. Oakton College is also a smart choice for seniors 60 and above, as they are offered deeply discounted tuition rates. 5. Why attend Oakton Community College? The student faculty ratio is relatively low, allowing for a more personalized learning experience. District residents can save a lot of money on their college educations. Discounted tuition is offered to approved district employees. Online classes are available for in-district tuition rates. Some free tuition is possible for eligible applicants in certain job training programs. Oakton is not far at all from Chicago. 6. How much does it cost to enroll at Oakton Community College? Additional fees may also apply, such as application fees, activities fees, course fees, transcript fees, and insurance fees, to name a few. Tuition can be waived for up to 12 credit hours for certain job training programs at Oakton. Financial aid may be available in the form of scholarships, grants, loans, and work study programs, to help students pay for their educations at OCC. 7. How long does it take to earn a degree from Oakton Community College? For students in attendance full time, it should take approximately two years to earn an Associate's degree. The time it takes to earn a professional certificate will vary depending on the course, but most certificates can be earned in one year or less. However, nearly 9 out of 10 students at Oakton are enrolled part time. For part time students, earning a degree or a certificate will take however long the student takes to complete the required course work. 8. 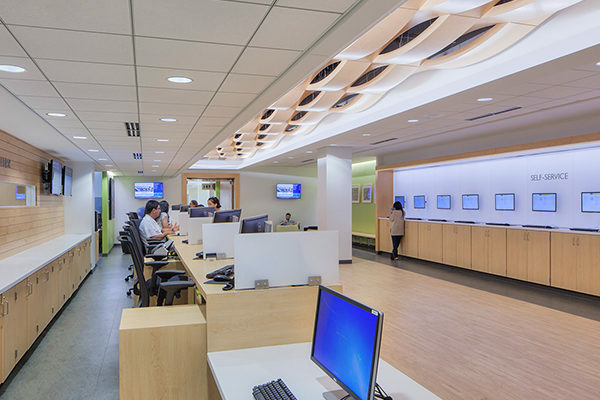 What are the Oakton Community College campuses like? The Des Plaines campus of Oakton College is situated on 147 acres of woodlands and prairie, just east of the Des Plaines River. This campus is home to two buildings. The original structure is a large brick building of 435,000 square feet. Among the building's special facilities are computer classrooms, a performing arts center, a fitness center, and a business institute. 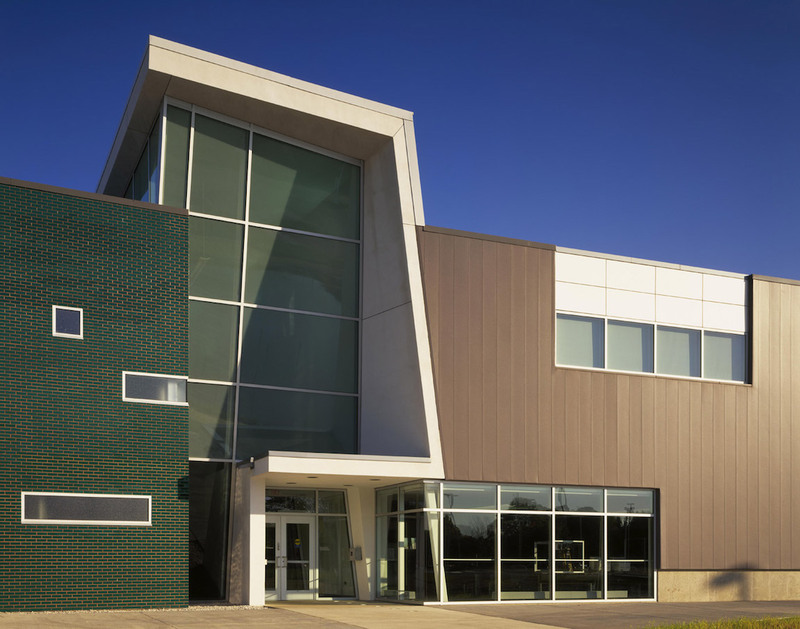 A newer building on the Des Plaines campus, named the Margaret Burke Lee Science and Health Careers Center, is used for health and science classes. Other campus attractions include the Koehnline Museum of Art and a lake. 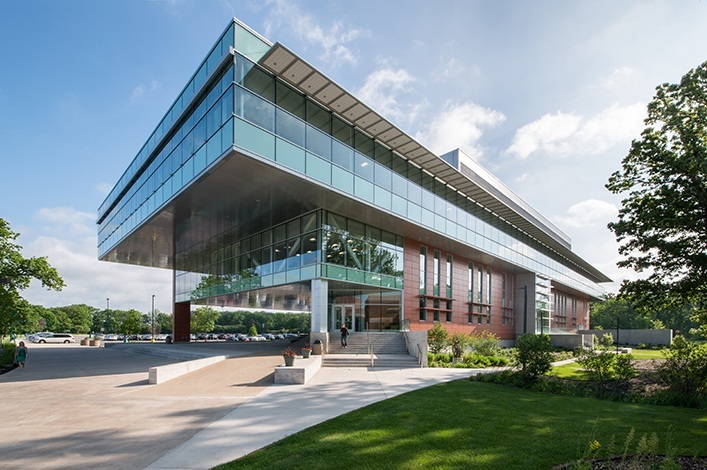 The Skokie (Ray Hartstein) campus of Oakton College occupies part of a residential area, and consists of one building that contains about 165,000 square feet of floor space for classrooms, laboratories, and administrative offices. The building is set on a spacious, well treed lawn. Both campuses feature student services such as child care and career counseling. However, there is no on-campus housing at Oakton College. Oakton also offers a range of intramural sports, as well as more than 50 campus clubs and organizations, including a student newspaper and a Hawaiian Music club. Above: Nanotech research is funded at Oakton. Shown above: The Oakton Owls men's basketball team in action. 9. What is the Oakton Community College neighborhood like? Roughly two miles south of the main campus is the heart of Des Plaines, featuring many conveniences and good places to eat. Other Des Plaines attractions include a water park, a casino, a golf center, and a McDonald's Store Museum. Public transportation is available, although some people might find a car more convenient. 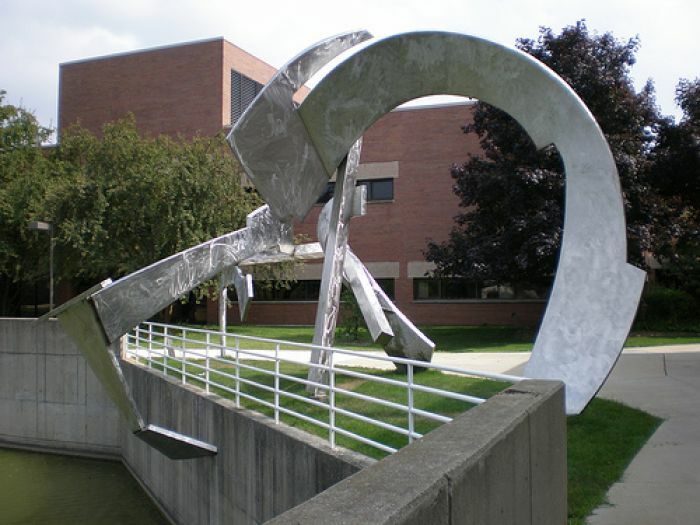 As for the other Oakton campus, attractions in the town of Skokie include the Illinois Holocaust Museum and Education Center, the Emily Oaks Nature Center, and the Skokie Northshore Sculpture Park, among others. 10. What are the distance learning options at Oakton Community College? 11. What is the contact information for Oakton Community College? You can reach the main office of Oakton College by calling 847-635-1600. To reach the Oakton athletics department, call 847-635-1753. 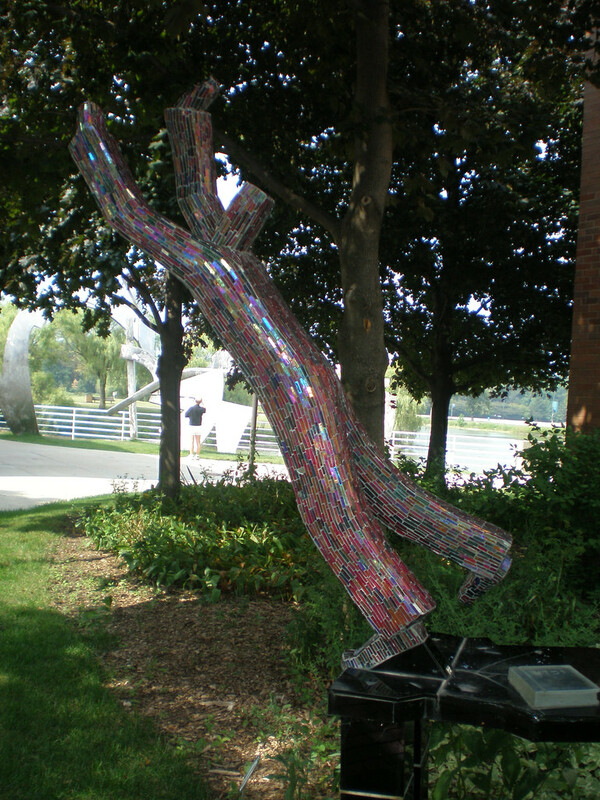 Above: Another sculpture on the Oakton campus.